We provide maintenance services to residential customers across Gig Harbor - from lubricating the tracks to re-tightening the springs, our experts are experienced and have the skills to get the job done well. Equipment that has been around for many years needs to be inspected regularly for safety purposes. In the course of normal everyday use, the mechanical and electronic parts of your door and opener will incur damage that may not be too obvious to the untrained eye. Our team will check the operation of your door, the behavior of each part, and the general state of the different components.The balance of the door when moving up and down is one of the first things we'll inspect. We'll also lubricate any necessary parts, tighten any nuts and bolts, and check if the springs or the limit switch need adjusting. 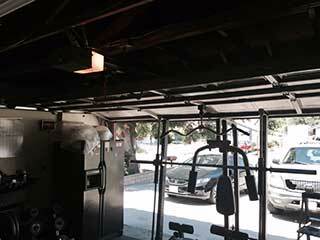 Minor damage that we uncover will be fixed before small problems turn into larger ones. The minor repairs that we include in our garage door maintenance services will address any underlying problems you're having with your door and opener system. By allowing us to inspect key parts of your system like the opener, you'll help to ensure that your garage setup will last for years without fail. The minor repairs that we include in our garage door maintenance services will address all the issues that you may not have even known you had. Any part of your door and opener that cannot be repaired will have to be replaced to prevent more serious failure in the future. Parts such as the springs, whether extension or torsion, are particularly susceptible to irreparable damage and wear and tear. If yours are worn, it's always best to address this before they completely break or snap. Regardless of the garage door system you have, you can count on our experts at Garage Door Repair Gig Harbor to help you out - call us today to schedule your maintenance appointment.